Ezi Solution are pleased to announce the availability of Version 2.1 Retail Man POS software, which includes inventory control and accounting. 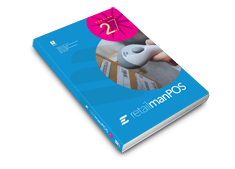 This is the first major release of Retail-Man POS since August 2013. Please note that a new licence key has to be purchased before an existing system can be upgraded to Version 2.0. Pricing of licence keys, upgrades and support are unchanged for Version 2.1. The cost of a new licence key starts at US$299 for a 1-user system. Upgrading to Version 2.1 costs from US$70 for a 1-user system. Please see the link below for more details. You will need to have purchased a licence key for Version 2.0 before you upgrade your system. Always backup your files before upgrading Retail-Man. WinZip or 7-Zip are recommended. The new software has to be installed in exactly the same folder as the current software. A re-index of files is recommended after an upgrade (ticket the 7 boxes on the left only). It is recommended to run some reports after the upgrade to verify the system.